When you’re looking for West Deptford real estate specialists with a reputation for professionalism and trust, try calling Century 21 Reilly Realtors. Our main office is a short drive away in Berlin, and we serve residents and prospective home buyers all over South Jersey, including all of Gloucester County. Our team specializes in all sorts of real estate transactions, from residential and commercial properties to investment properties and even foreclosures. Home Buying. Selecting a home to live in is a huge life decision, so we make sure to provide advice and help through the process. We help you decide what you can afford, acquire a pre-approval from a mortgage provider, and then choose a home for you that is ideal for your needs and desires. When buying a home, be sure to have a professional working for you, rather than the seller. Home Selling. We can help you through the often stressful process of selling a home. We conduct a home evaluation and establish a best listing price based on location, assist you with preparing your home for listings and showings, and we negotiate buyer’s proposals for you. It’s our goal to make sure that a contract that is legally binding and works for both parties. Relocation. If you’re planning a move to the West Deptford area, we’re here to help! Our real estate specialists all live here in South Jersey and we’re well familiar with the areas. We’ll help you choose a great location based on the school districts, taxes and traffic patterns. 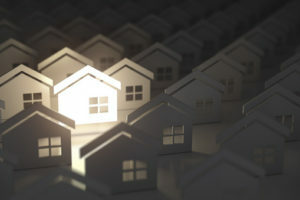 Whatever your need for West Deptford real estate specialists, you can turn to the professionals at Century 21 to help. Contact us today and let’s get started…we’re proud to represent both current and future residents of South Jersey. Posted August 29, 2018 & filed under Berlin Real Estate.